I realize that, not too long from now, my child will begin to make more and more suggestions for throwing his birthday party. Likely involving licensed characters that he’ll become enamored with. But in his fourth year of life, while he’s interested in some of the characters he’ll see on a PBS station, or from a movie we watch at home, he’ll stop in his tracks and put all of life on pause for: sticks. As in those bits of branches that fall off of trees. And somehow wind up multiplying right in front of his car seat, on the floor of the car. And sneak into the house making random patterns that will lead the grown-ups in the household to wonder whether or not a sequel to The Blair Witch Project is perhaps in the works. Why is this a challenge, you ask? His birthday falls in the month of August, which around these parts is also known as State Fair time. That celebration of commerce, agriculture, and unique ways to eat plated foods on a stick or skewer of some sort. The risks of going way too cliche are high. Audience is also somewhat of a challenge. This is a family gathering, meaning ages range from the birthday boy’s 4 up to a grandparents’ late 70s. And while our son has somewhat mature tastes – ask me sometime about his addiction to cherry tomatoes; or smoked salmon, for that matter – he’s still a kid. 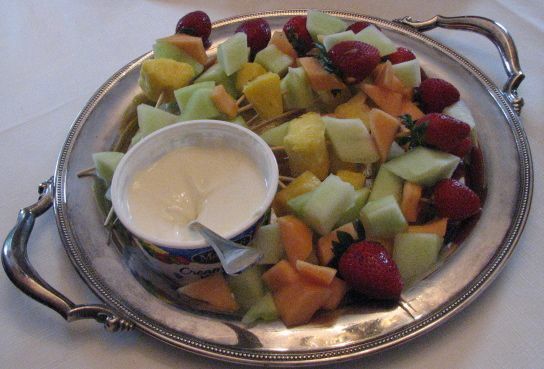 The offerings have to appeal to all ages, require minimum upkeep during the party so we could all enjoy the gathering, and not take a bunch of time ahead of the event to prepare. 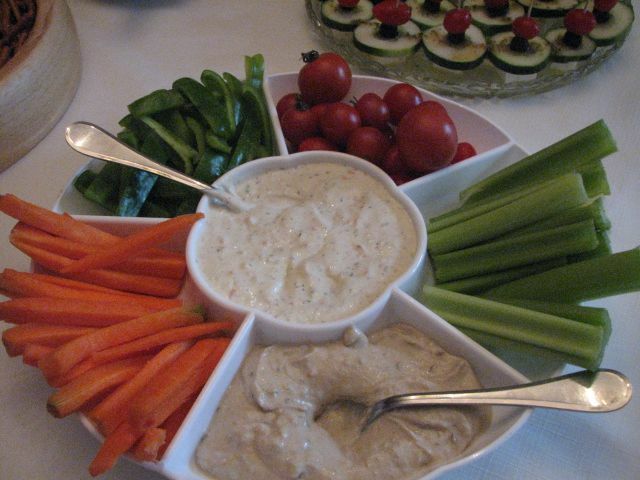 Vegetable sticks, with a choice of Ranch dip or hummus. Yes, there are tomatoes on the tray too. 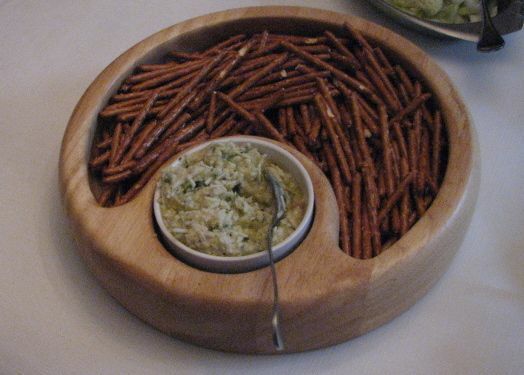 They’re not stick-shaped. But the Birthday Boy is addicted to them. 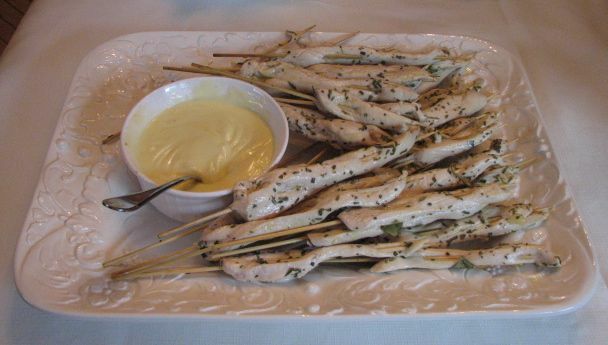 Lemon Rosemary Chicken Skewers, with a dipping sauce made from leftover marinade. Corn Dogs. Bought frozen at the grocery store, cooked in the oven, and made all grown-up and classy with the chafing dish keeping it warm. All together on a table, this was a great spread for a little noshing, then some meal eating, and followed by post-birthday cake noshing. What surprised me the most was how much of a hit the corn dogs were among everyone. 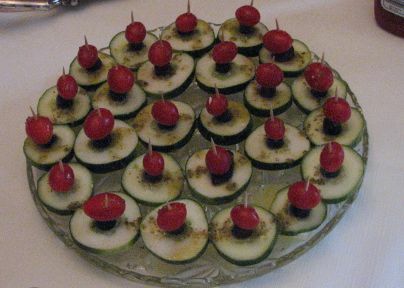 It added an unexpected element of fun to the gathering with many adults there reminiscing about the last time they had a corn dog. Too long, judging by some of the comments. That’s what we call a sugar overload. What’s that? 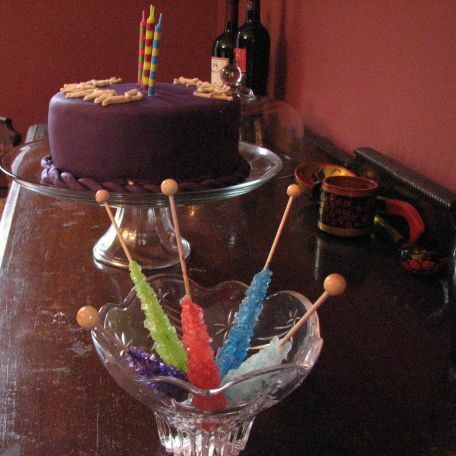 You saw a cake in the background of that photo? Why, yes you did. Our son is a huge fan of cake pops, and I was considering them for the party. Until he very specifically requested the cake. So, new challenge: how do we continue the stick theme on a decidedly non-stick item? That’s coming up next. Stay tuned. 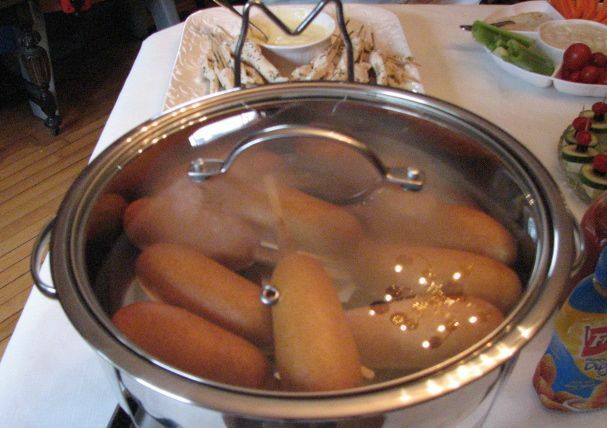 Did the chafing dish work with the corn dogs or did they get too soggy? I’m trying to find a way to keep a lot of corn dogs warm after baking in the oven. They worked well! Of course, with a bunch of kiddos, the corn dogs didn’t stay in the chafing dish for long.